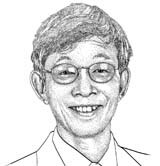 Bernard Lo, M.D., president of the Greenwall Foundation and director emeritus of the Program in Medical Ethics at the University of California, San Francisco, will deliver the next Flexner Discovery Lecture on Thursday, Sept. 25. He will discuss “Decisions near the end of life: Can we make them less agonizing?,” beginning at 4 p.m. in 208 Light Hall. His presentation is the Patricia Townsend Meador Lecture in Ethics and Health Care, sponsored by the Center for Biomedical Ethics and Society. The Greenwall Foundation supports bioethics research and young researchers in bioethics. Lo is the author of two books about ethical issues in the clinic and in clinical research. He and his colleagues have published more than 200 peer-reviewed articles on ethical issues concerning decision-making near the end of life, stem cell research, oversight of human participants research, the doctor-patient relationship and conflicts of interest. He is a member of the Institute of Medicine (IOM) and served on the IOM Council and as chair of the IOM Board on Health Sciences Policy. He is currently chairing an IOM committee on responsible sharing of clinical trials data.